Reading the synopsis, this book sounds pretty good, though it felt like sentences, paragraphs and/or plot points were missing. I was enjoying it, until I came to the ending. No matter how great the book is, the ending can make it or break it. The ending wasn’t satisfying. William didn’t really do anything to save the town in the Middle Ages. He did save Trea from dragons, but she put herself in that position because she was told to. Many questions went unanswered, like why his family are time travelers, or why William lost a year when returning. What time did Trea grow up in? My biggest question: What was the resolution of the plot? While reading I thought there was a point but the ending rendered it null and void. Even the love subplot between William and Trea is lackluster. The story is told in the 3rd person. Each chapter centers around Trea or William. Time Chaser is an easy and a quick read, but the main characters don’t really do anything except worry about each other and their families. I liked the story just not the ending, but maybe others won’t mind that it felt unresolved. 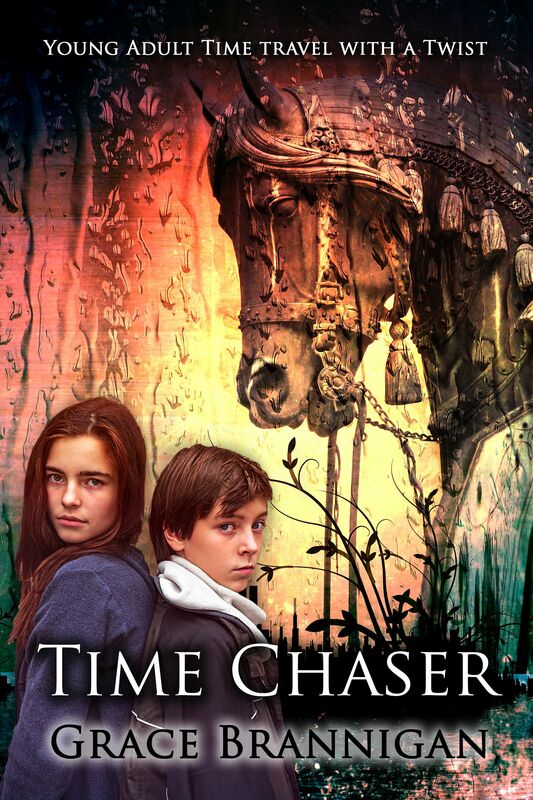 Perhaps that’s because Time Chaser is set to be a series; the next book sounds like a Back to the Future-esque story.